Muhammad Daniel said his first attempt at the Blackpool Dance Festival last year enabled him to qualify to the second round. His latest achievement - winning the A1 for all Single Dances and A1 for Multi Dances in Latin and ballroom dance at the Blackpool Dance Festival 2017 held at The Winter Gardens, Blackpool, Lancashire, England, in May. "After almost seven years of hard work, this is the first win I have achieved in Europe and I feel so happy to have made my family and country proud," he told Bernama. Muhammad Daniel said his first attempt at the Blackpool Dance Festival last year, also in May, only enabled him to qualify to the second round. He also failed at the second dance competition in Gatwick. He said he took up dancing at the Taipan D' dance World just to lose weight, after watching his younger brother Muhammad Adam, 15, enjoying himself at the dance class in 2010. "My aunt Faizan Amron had proposed to my parents to send Adam for Latin dance since he loves dancing and I just accompanied him to the studio. After watching him dancing, I found it to be exciting and fun. I also joined because of my weight ... I was really chubby back then, weighing 80kg," he said. He said the dance school principal, looking at his interest in dancing, suggested that he take up ballroom dancing and that was how the partnership with brother Muhammad Adam resulted in the A & D Brothers. The siblings also started to participate in dance competitions, the first being the 17th Penang International Ballroom Dancing Championships in 2010. 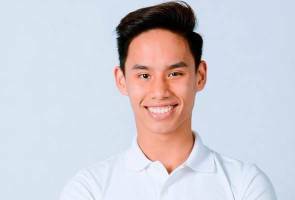 Besides the Blackpool Dance Festival 2017, Daniel has also won a few other international competitions, in Indonesia, Taiwan, Sri Lanka and Thailand as well as the 6th Hong Kong Ballroom Dancers International Cup in April this year. Said Muhammad Daniel: "Through dancing, we don't just dance but also learn self-grooming, socialising, ways to catch audience attention, facial expressions and acting." Brother Muhammad Adam will be competing in a Latin dance competition in Penang this month after having won a competition in Singapore early this year. "At the beginning, some people used to ask us 'You are dancing? Don't you think it's very girlish? But I always used to say that you should try Latin (dancing) as it brings out the manly characteristic in you," said Adam. Adam, who is at the same school with his brother, said their school had also started organising many national dance competitions as its co-curricular activity, having been inspired by their achievements. Sylvia Yeoh said the brothers had never failed to impress her since they joined her academy three years ago. "It's very hard to get boys who are very talented in Latin and ballroom dancing. So, when I first got them to join my group, I was thinking how to enhance these two boys' abilities to another level. They never failed to impress me and have been very cooperative," she said. Yeoh said that this year, with both of them sitting for Sijil Pelajaran Malaysia (SPM) and Pentaksiran Peperiksaan Tingkatan 3 (PT3), they need to keep their practice at the minimal level and manage their time well between studies and dancing. "I always believe that academic pursuit and activity can be achieved both at the same time with the right time management and support from the family," she said. Yeoh said she hoped that the government and private sector could provide financial aid or sponsorship to the two brothers since they had the potential to become well-known international dancers. "The minimum budget for a dancer to join international competitions including costume, flight, entry registration, lodging and training can amount to RM35,000. We hope to get some financial assistance from the government and private sector to ensure that the Malaysian flag will continue to fly at the Winter Gardens, the prestigious Blackpool Hall in England," she said. Meanwhile, Mohammed Amron, the father of the two brothers, said he hoped that the government and private sector sponsorship for Latin and ballroom dancing can motivate and encourage more people from the young generation to take up the art. He said his sons aspired to open a dance studio where they can educate and instill the love for Latin and ballroom dancing in young Malaysians.